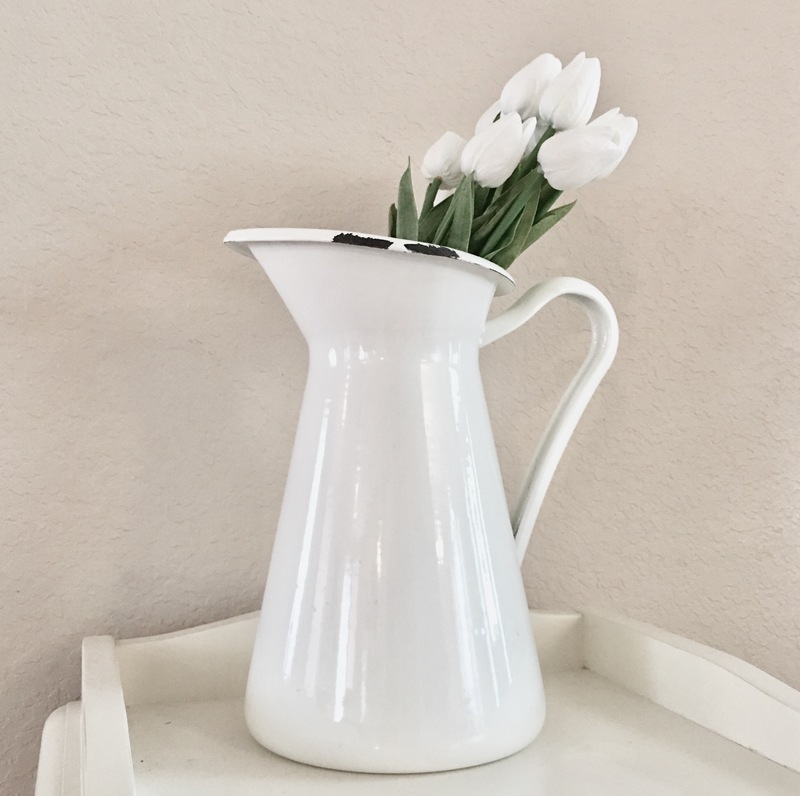 I got so much response from my tulips post on IG that I had to share my hack here! 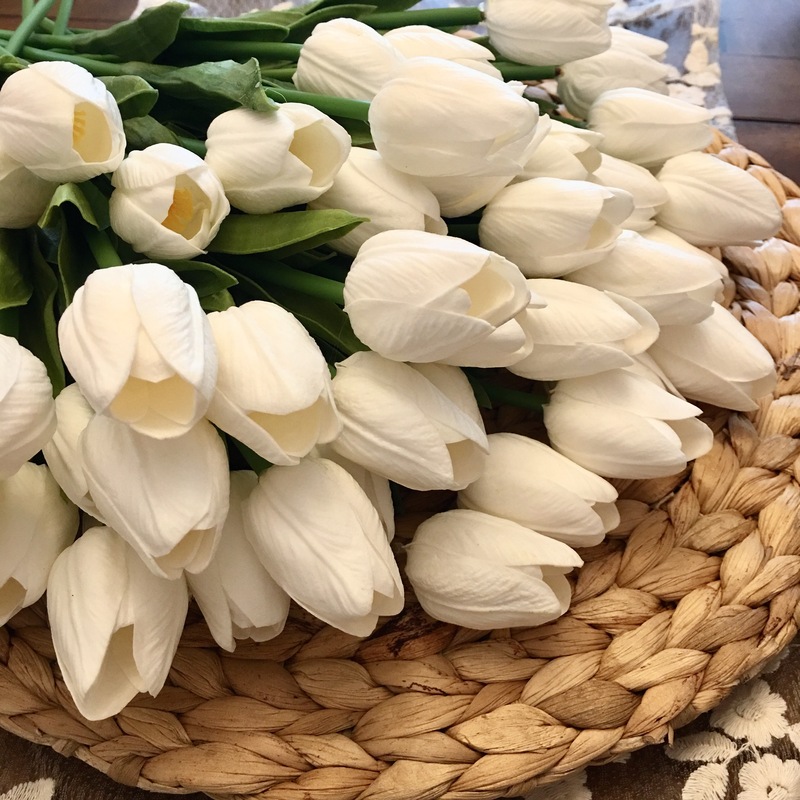 You may remember a few posts back, when I fell in love with the real-touch, artificial tulips I saw at Magnolia. 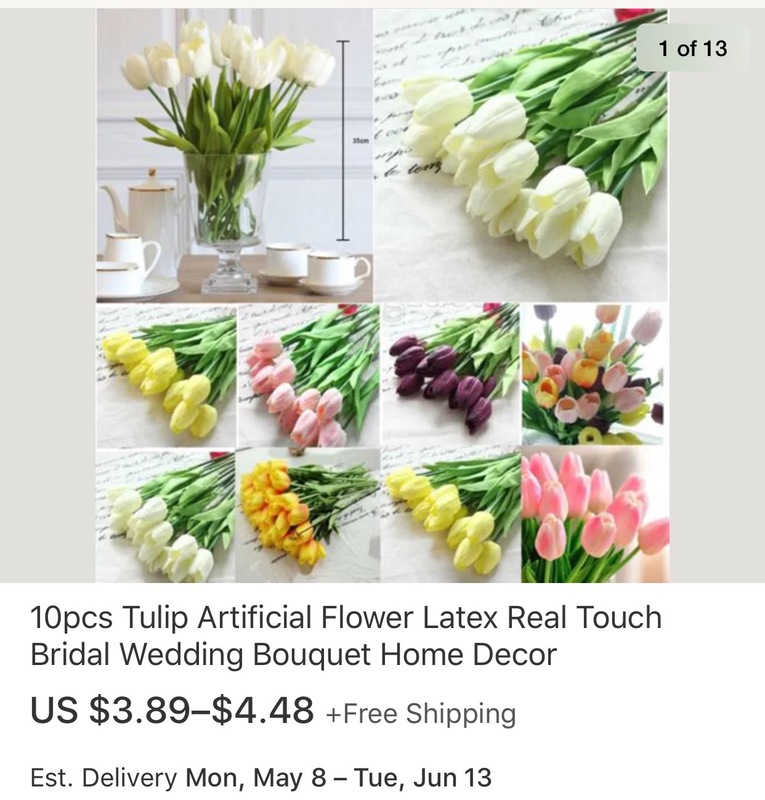 My sweet friend encouraged me to search elsewhere for them, and after a little searching, found the exact same tulips on eBay! Instead of paying $4.50/stem, I paid $0.38/stem. This way, I was able to buy 50 for about $18. The more you order the bigger the discount, and just remember to be patient because it does take at least a month for them to arrive. 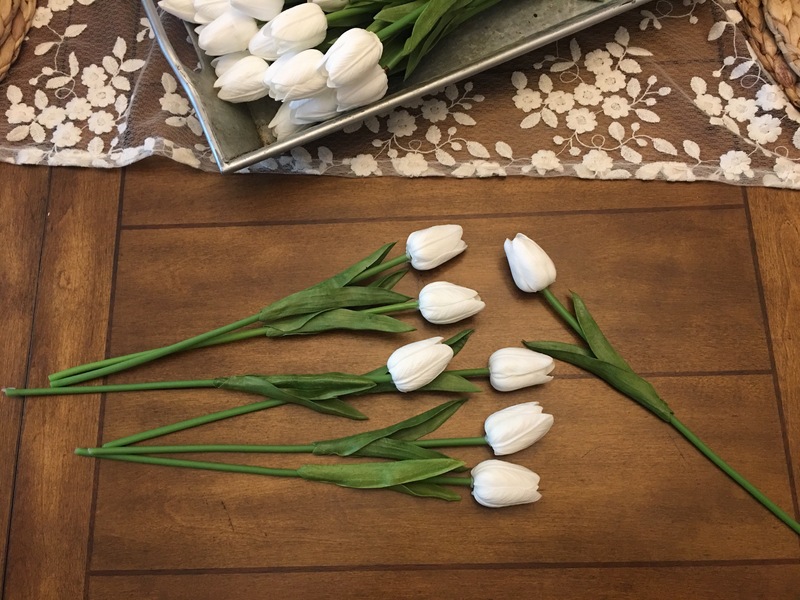 There were three or four tulip heads that fell off during shipping, but I was able to glue them back on with some super glue! They look and feel so real! One other disclaimer: They are a latex based product so if you’re allergic to latex you may want to steer clear. Let me know if this hack works for you!